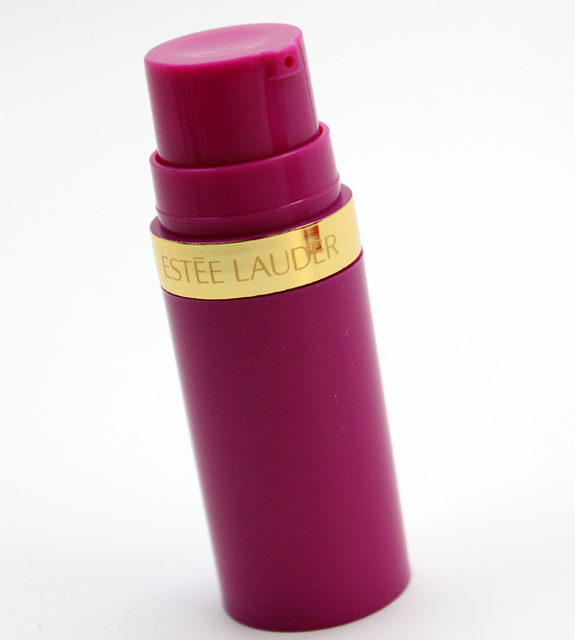 The Estee Lauder Pure Color Cello Shots collection features three items that give you a sheer cellophane-like gel finish. Pure Color Cheek Rush is a water-based transparent gel which gives cheeks a flush of color. It comes in a pump-style bottle and four shades. 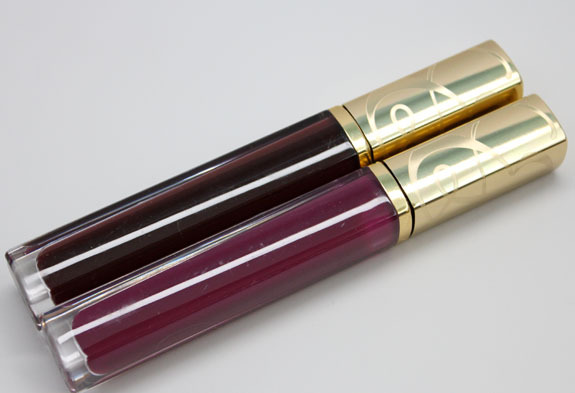 Pure Color Sheer Rush Gloss is a light-weight smooth lip gloss which gives a sheer wash of color and is super shiny. It is also limited edition and comes in six shades. 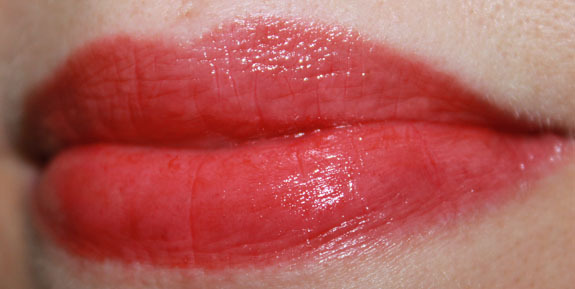 Pink Patent Sheer Rush LipShine is a sheer cool-toned light pink. Pretty shade but again, sheer! 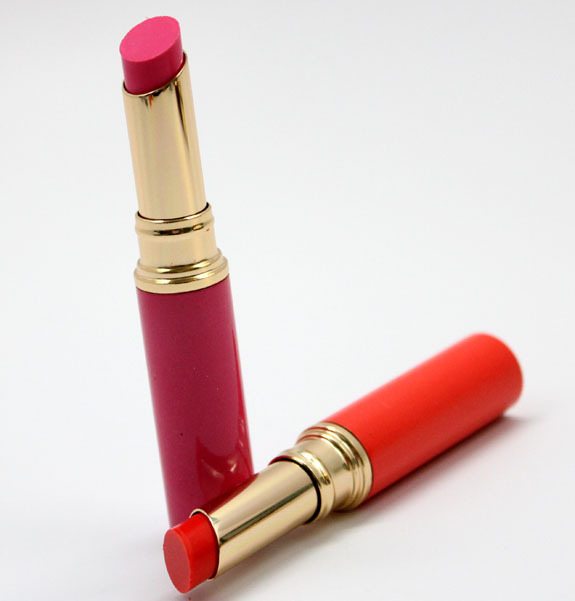 Poppy Shock Sheer Rush LipShine is a bright coral , slightly more pigmented than Pink Patent. I really like this one because of the pigmentation, shine, and it doesn’t settle into lip lines as much as Pink Patent did. Pose Rose Sheer Rush Gloss is a sheer raspberry pink shade. 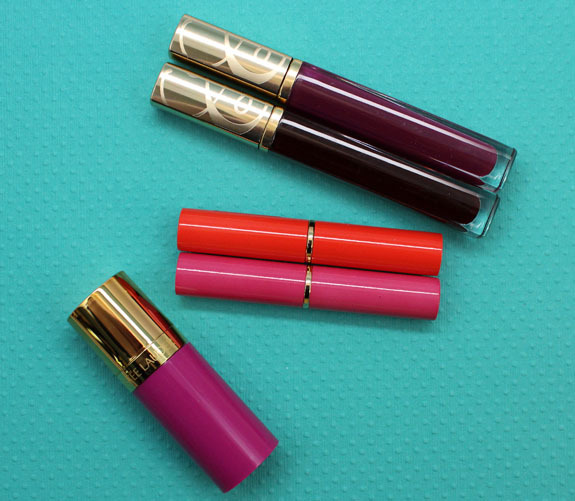 Techno Jam Sheer Rush Gloss is a sheer purple shade. 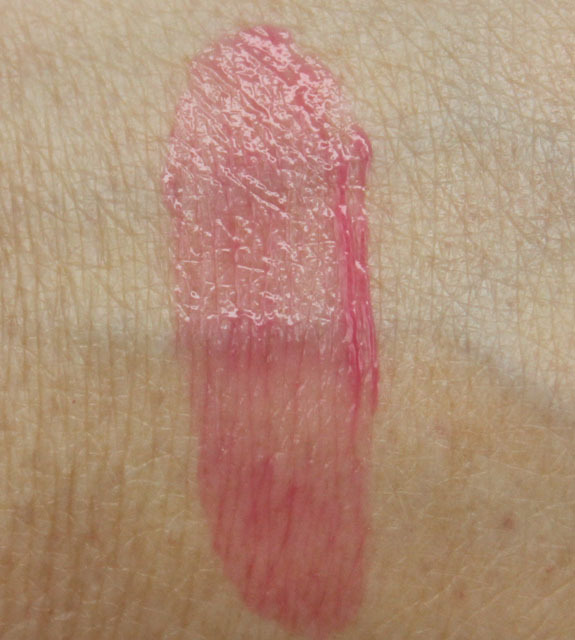 X-Pose Rose is a medium pink rose shade. This stuff is kind of like a cheek stain. Sheer, yet you get that stained, flushed look on the skin. You can slightly build it up. Overall: If sheer shades are your cuppa tea for summer, then you might like some of what you see with this collection. I like the LipShines because the packaging is light-weight, nicely designed and small. Easy to carry! I wish they were more pigmented, but they aren’t supposed to be. Poppy Shock is a great shade. 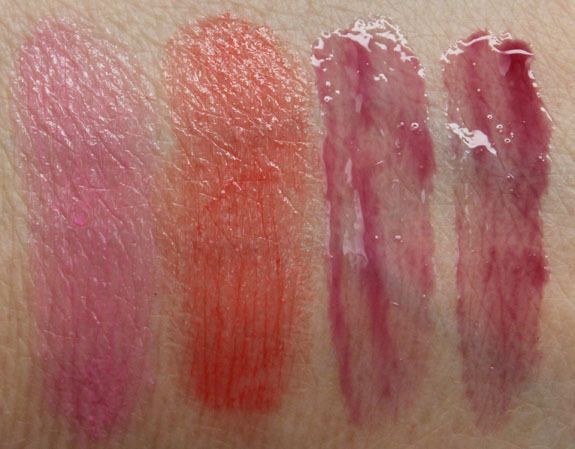 The Sheer Rush Glosses feel so nice, wet and moisturizing on, I also wish they were more pigmented. Sigh. I personally am not a fan of cheek stains because I find them hard to blend in and get it to not look like I am sick with Typhoid! Any tips on that ladies? See anything here you are interested in?